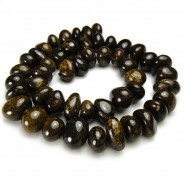 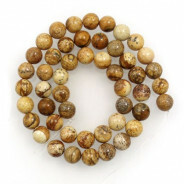 Natural White Wood Mixed Colour 8mm Round Beads - Copper, White and Natural (~53pce Strand) - 40cm/16'" Strand. 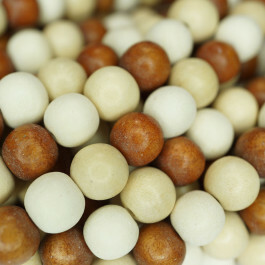 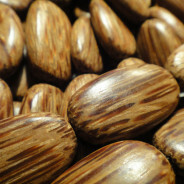 Natural White Wood beads are made from a common type of wood in the Philippines locally called "Ambabawod". 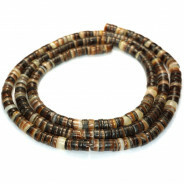 Each strand contains a mix of dyed Copper and dyed White beads as well as the un-dyed natural white wood.